Introducing our new MR11 2W spot light. 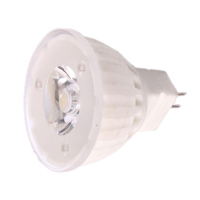 This durable LED light bulb has a well design heat-sink and Nano-Ceramic material. This innovative attribute allows for longer lifespans at higher lumens output with lower heat registers.